Last December, I went to Bohol for four days and three nights. This was my second time to visit the place; the first time was in college, when I was chosen to be part of a conference that took place in Bohol. This time, I went with my family and every day was a new adventure for me, especially since the earthquake has ravaged much of the beautiful structures I saw during my first visit. Note: All photos are non-edited, and are taken using my phone S3’s camera. The living room, and behind that is Chico Cafe. There were six of us in the group, with three adults and three senior citizens (my dad, and my grandparents). While we were on a budget, comfort was still paramount for our trip. 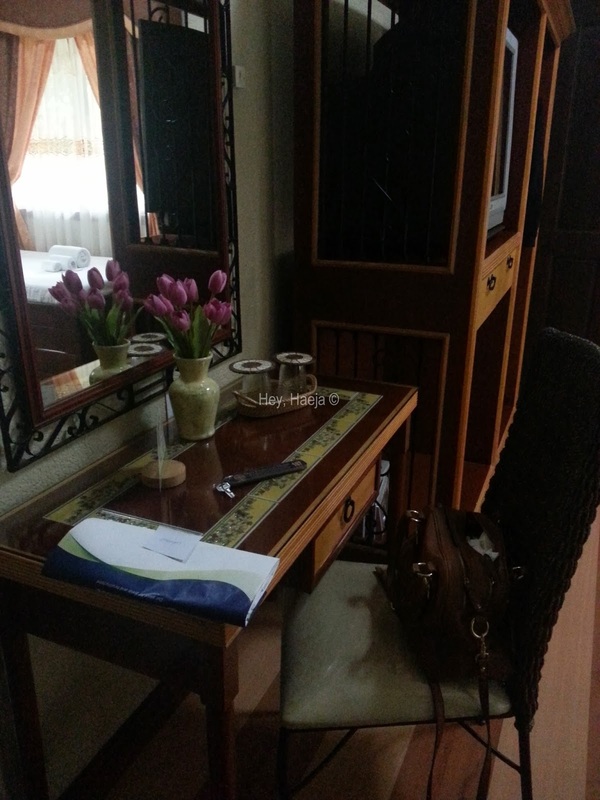 After months of searching, my sister and I, who paid for all our accommodations, finally settled on Dao Diamond Hotel. Dao Diamond is a very charming, quaint, and comfortable hotel near the airport that was just bang for the buck. If I will visit the countryside of Bohol again, I will definitely stay there. 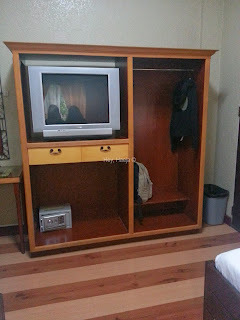 Dao Diamond was very affordable, about P1650 per two adults in their standard room. They also offer a twenty percent discount for senior citizens in the room. They have various room sizes on offer, so you can stay in one room if you’re a family or a group friends. We opted to stay in separate rooms because it was cheaper when we computed it, compared to their family room. Take note: A non-refundable deposit is required to confirm your reservation, but the deposit will be part of your total room rate already. 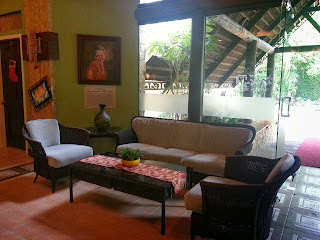 Another sala set right inside the entrance. 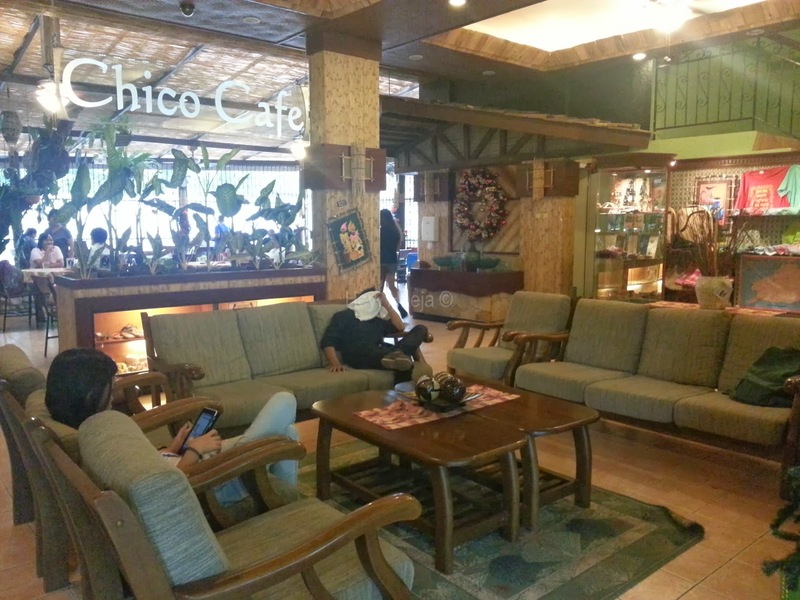 Dao Diamond has its very own Chico Cafe restaurant, which was very handy because the hotel is situated a bit far from the town proper; it’s near by car, but not on foot. Thankfully, the food was very affordable. We gained so much weight in Bohol because the food was so cheap, we thought the dishes were good for one person only, but they are actually good for two to three persons. 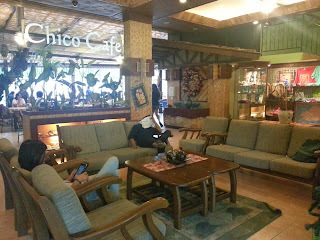 Chico Cafe’s food was very tasty; they tasted like home-cooked meals. The whole hotel definitely felt like your home away from home, from the friendly staff to the very comfortable sofas. I actually spent a couple of hours one night curled up in one as I checked my emails…using their unlimited free WiFi! They have a lot of routers all over the place, but the signal is not very strong when inside our room. The strongest connection I had was while I was in the living room in the lobby. Even in Chico Cafe, I only had one to two bars, but it was enough anyway to surf and update my Instagram, lol. Towels, shampoo, and soap are provided. Another thing that sets Dao Diamond apart is that they have a lot of deaf employees. If you know how to use sign language, good for you! But for us, we had to communicate by pen and paper. If we had a request that we really had to communicate by voice, we just talked to the front desk, and they are the ones who communicated with the deaf employee. While some may complain that it’s ‘hard’, it wasn’t, actually as they understood us most of the time. We just put our hands together as if in prayer and bowed our head to say thank you. It wasn’t the right sign, as I later learned, but they are so used to us non-sign language practitioners that they already understood it. And they are so good at anticipating our needs! As soon as you sit down, they’ll bring you the menu. After you order, they’ll already provide you with water. Sometimes the utensils were provided, sometimes we just got them from the utensils tray at the front of the cafe. I’m not sure if they were mute as well since they didn’t speak verbally, but the quiet service was to my liking! Don’t you just hate it when you’re trying to relax and the servers themselves are so unprofessionally noisy? Since part of my goal was to relax, I definitely achieved that during my stay. We were all given rooms on the first floor, as per my sister’s request to the staff, so that our grandparents won’t have a hard time going to their room. Our rooms were all beside each other. The only downside is that the walls are a little thin. For loud televisions, it wasn’t a problem; but for hell-raising cries of a child, it is definitely a detriment. One night, a child was crying in the stairs in the middle of the night, and a lot of people in the first floor woke up and complained. 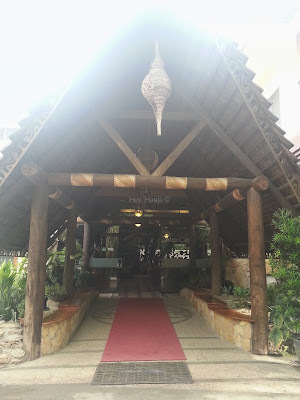 Also, if there are noisy people in the corridor, you will definitely hear it, but since almost all the guests were out and about in Bohol, and we were hardly in the room, we didn’t mind it at all. There are no sound buzzers in the room, only light buzzers that will go on and off, signalling there’s someone at the door, which is great for minimizing the sound, but bad if you’re not facing the door, and based on my experience, if the person inside is asleep. However, they do have extra keys to let you inside your room if you’re locked out. 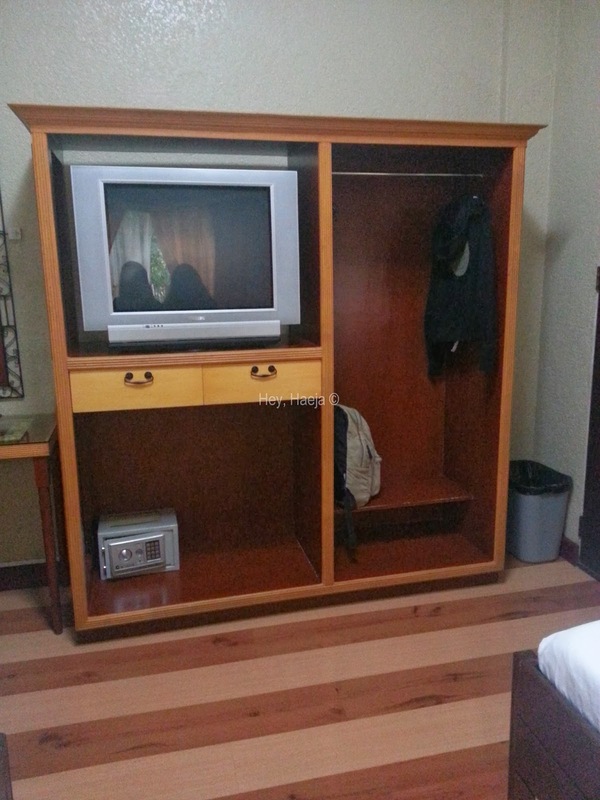 For a standard room, it was very spacious. And despite the affordable price of the rooms, unlike other cheap hotels, the beds were very comfortable. We all had a good night’s sleep, refreshed for the next day during our vacation. However, they only provide one pillow for the bed, so if you’re the type who sleeps hugging a pillow, you have to bring a substitute plushy since I’m not sure if they provide pillows upon request. Our room also had a veranda, but we didn’t use it. We also didn’t use the air con in the room overnight! It was really cold in Bohol last December, so we turned the air con off when we slept, with only the electric fan turned on. I think the TV has cable, but since my sister and I didn’t even watch, I can’t be sure. There were several hangers provided. 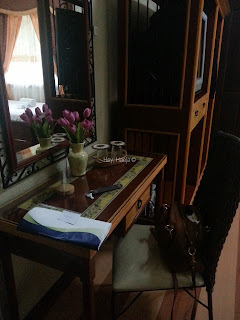 I didn’t like that the cabinet was open for everyone to see inside, but I didn’t lose anything during my stay. There’s also a safety deposit box, which we also didn’t use because it was too small for our tablets. The rooms are CLEAN. And I mean clean. There’s a pull-out bed under my sister’s bed, and even that was clean. 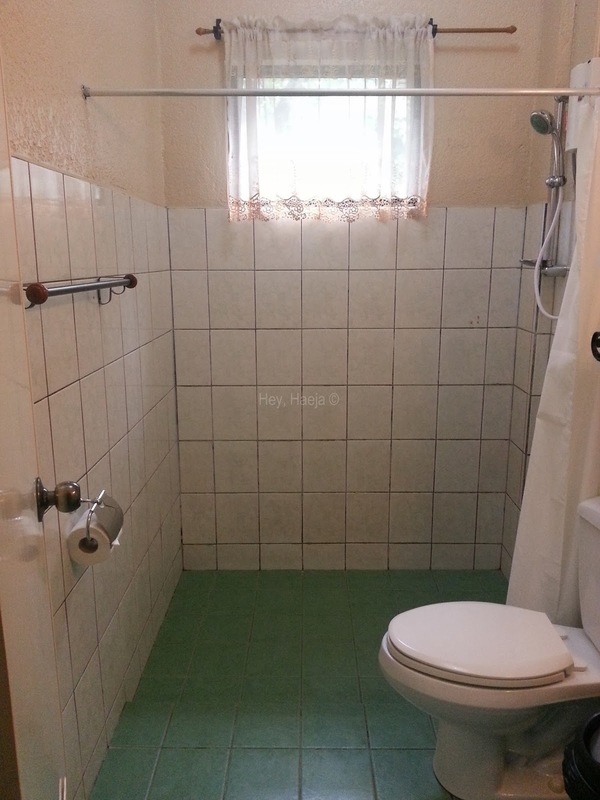 The bathroom was also clean, even the walls are scrubbed. I know how this is a pet peeve for some people (i.e. Faye, who brings her cleaning tools when she goes to a hostel or something), and my sister is one of them, so having a clean bathroom was also on top of our list of requirements. You know how some cheap hotels makes you feel like you have to wear slippers all the time, even in the bathroom? I think it was one of the few times I didn’t mind bathing bare-footed. There was also tissue provided, but no toothbrush or toothpaste. They provided shampoo and conditioner, but we didn’t use them; I brought my own, packed in 100ml containers, of course. The shower has a hot water dial as needed, so we were able to take warm baths even at night. It was just another one of those things I appreciated in Dao Diamond. Dao Diamond also offers free shuttle transfers to and from the airport. If there are other guests who will arrive or leave the same time as you do, then you will all ride in one shuttle. The hotel also has a P15/ride shuttle service to the town proper. There are three scheduled transfers you can choose from, and you will just text the hotel or the driver himself if you want to be picked up. You will pay the P15 fee at the hotel counter for this ride. We used the service on our third night since my sister and I wanted to ride this non-mechanical bull at Dao Diamond’s sister restaurant in the town proper, named Garden Cafe. Like Dao Diamond, Garden Cafe is very quaint. It seems to be popular since the place was packed when we went there for lunch and dinner. Dao Diamond also has a free swimming pool, but there are no lifeguards. There are two pools; one for adults and one for kids. There is a shower in the pool area, but it can only fit one per person. You have to wear swimming attire. I brought the towel they provided to the pool area since there are no towels in the pool area. You can also eat around the pool area, as there are tables and chairs provided. There is always staff there anyway, and you just ask for the menu and order from them. If you’re a guest in the hotel, you can just charge the food to your room. They also have a fish spa for P50 only, but my mom said she got itchy afterwards although the spa felt wonderful to her tired feet. For travelers to Bohol who don’t speak Bisaya, don’t fret. They speak English well, and are conversant in Filipino too. Their tricycle ride only costs P8, although a special trip can cost up to P30, or P10 per person. We paid all our rides P10/person, and the drivers were very grateful. It was just another P2 anyway. The tryk drivers are well aware of Dao Diamond, too. There might be an R signal atop your signal in your phone if you’re a Sun Cellular. Don’t fret; that just means that your mobile is hitching on the Smart network available. If you’re going to get a henna tattoo, make sure it’s dry before you go to bed. If you stain the sheets, it will cost you. Dao Diamond was a very good choice for us. Almost all the staff were very friendly (there was one front desk personnel who wasn’t as friendly as the others) and they were polite. The front desk is not open 24/7, but there was a man who stays in the lobby overnight, I think, maybe for emergencies. I know this by experience because I went to the front desk at around 2 in the morning to request for water, and he was the one who got me water from the pantry. The hotel is family-friendly, and they make it easy for handicapped guests. The only downside was that we were far from Panglao, so we only went there once. From our hotel to Panglao, if you don’t have a car/friend, and you will have to hire a shuttle, the cost is P500 per one way trip (or take a jeepney ride if you’re not in a hurry). But for countryside tours, or just touring around town, Dao Diamond was just perfect. Full Disclosure: We paid for our meals. This is not a sponsored post. All opinions here are my own based on my experiences during our stay there.